Austin, TX— Zenmuse and S800 — On August 7th, at the AUVSI Show in Las Vegas, DJI Innovations will announce the official availability of Zenmuse and S800, enabling users to obtain perfectly stable aerial imagery. “We are extremely excited to be the first to market with a sub-pixel stabilized camera platform for unmanned systems,” said Colin Guinn, CEO-North America at DJI Innovations. 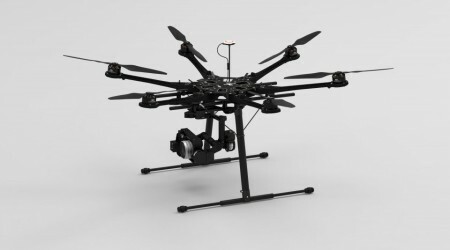 With the Zenmuse Z15 stabilized camera gimbal, users can obtain perfectly stable footage from an easy-to-fly hexacopter – the Spreading Wings S800. The S800 is the first multirotor that can be completely assembled and disassembled by hand – without any soldering – making the system much more conducive for work in remote locations. Combined with DJI Innovation’s best in class multi-rotor flight control system, the WooKong-M, professionals and enthusiasts can enjoy the convenience of shooting low altitude aerial video without the need for post-stabilization of their footage. The Zenmuse Z15 camera gimbal for Sony NEX-5n is now available for $3,500. By September, the Zenmuse Z15 for Panasonic GH2 will be available at the same price. 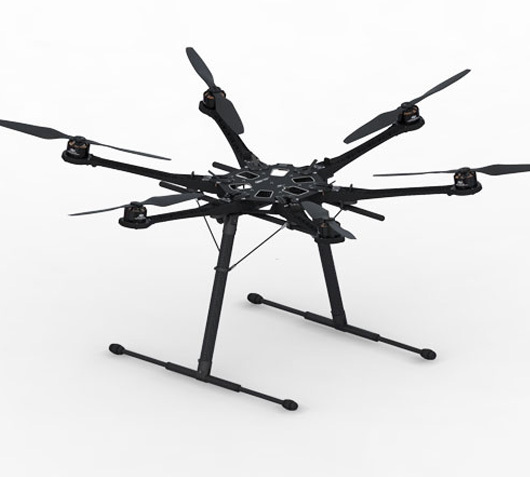 The Spreading Wings S800 hexacopter is available now for $1,900. Founded in 2005, DJI Innovations is the worldwide leader in UAV flight control systems. The company offers a wide range of products and services designed to aid in the professional and hobby use of unmanned aerial systems.